The lead, my dear friend Patrick Faller, practiced those perfect moves in Prince Edward Island, pulled our two other friends Johnny and Tyler, who flew down from Vancouver, into the routine the night before, and minutes before my bridesmaid’s boyfriend Rowan, who came down from New York, joined, along with my brother! I really think that the love and joy that poured out of my heart while I watched them do this is indescribable! I love the part where SM’s chacha (uncle) goes up to take their nazr (evil eye) off by waving the money around their head – haha they were so confused. 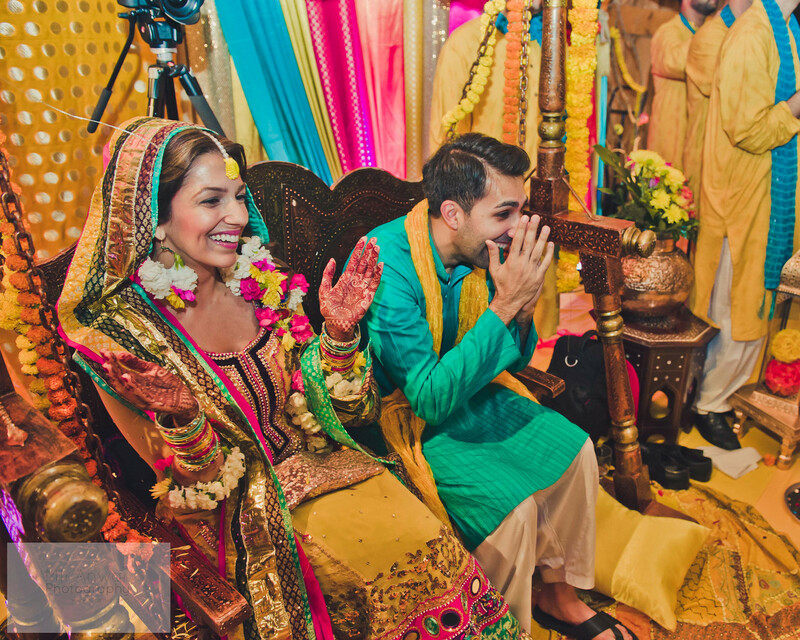 I’m telling you; mehndis – the best part of Pakistani weddings! This video is just off of a friend’s phone; can’t wait to share with you the professional footage! Where did you get the flower earings? My wedding is coming up and I wanted to wear flower earings as well for Mehndi. Hey A! I got them from Laila decor in Toronto!